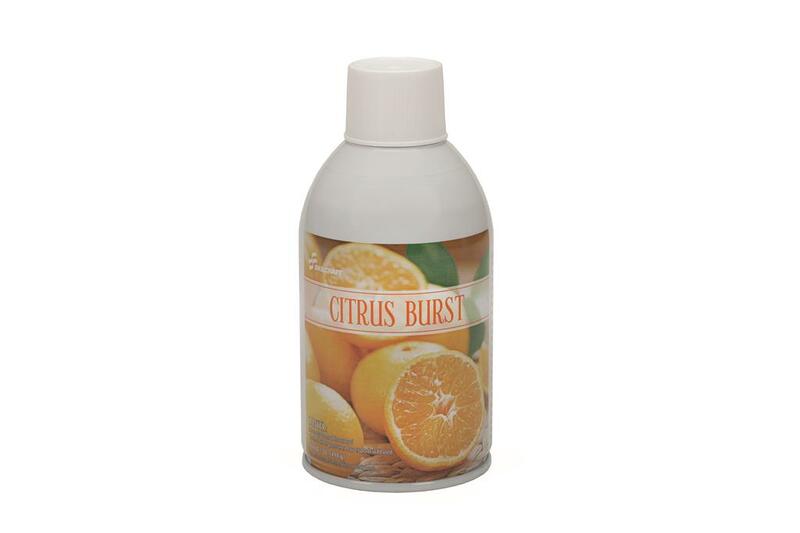 SKILCRAFT® Citrus Burst will fill your spaces with the lush tropical scent of Mandarin Oranges. SKILCRAFT® Metered Mist counteracts malodors caused by smoke, pets, food, tobacco, mildew and more. Ideal for placement in restrooms, kennels, kitchens, locker rooms and anywhere else where malodors exist. The hassle-free automatic sprays will keep your space smelling fresh 24/7.